THE MANY YEARS OF SPECIALISED KNOWLEDGE GAINED IN PRODUCING THE LARGEST RANGE OF COMBUSTION COOKERS AND BOILERS ON THE MARKET TODAY, HAS ENABLED WISE LIVING PRODUCTS TO PRODUCE AN ELEGANT GARDEN OVEN WHICH IS EXTREMELY VERSATILE. 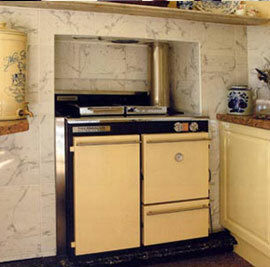 WISE LIVING PRODUCTS ARE RENOWNED FOR THEIR WORLD CLASS COOKERS AND THE TUSCANY IS NO EXCEPTION. THE TUSCANY IS A HIGH QUALITY SUPER EFFICIENT GARDEN OVEN CAPABLE OF PROVIDING RESULTS WHICH ARE THE EQUAL OF THEIR MORE EXPENSIVE STABLE MATES. A CLEVER SMOKE BYPASS CONTROL ALLOWS THE “TUSCANY” TO BE USED AS A ‘CONVENTIONAL’ OVEN, FOR COOKING DELICIOUS BREAD, BISCUITS, CAKES, PASTRY AND ROAST MEATS. 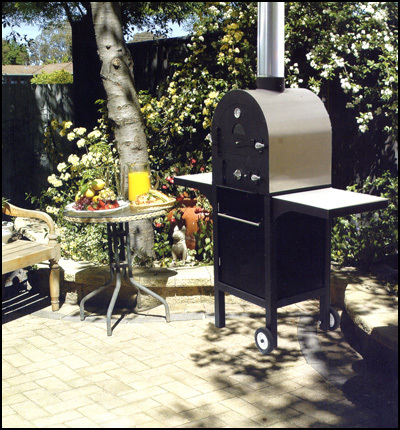 THE “TUSCANY” CAN ALSO BE USED AS A ‘SMOKING’ OVEN, FOR SENSATIONAL PIZZA, SPECIAL BREADS, SMOKED FISH, MEATS AND SAVOURIES. YOU CAN LET YOUR IMAGINATION RUN WILD AND EXPERIMENT TO YOUR HEARTS DELIGHT. 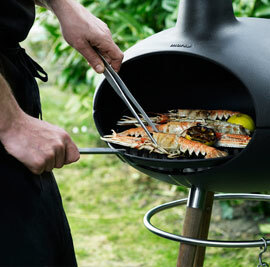 RELAX AROUND YOUR “TUSCANY” GARDEN OVEN, ENJOYING SENSATIONAL FOOD WITH FAMILY AND FRIENDS. 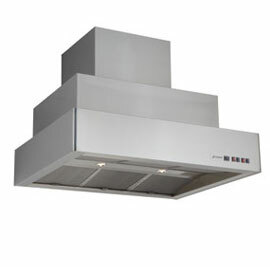 This rangehood comes in three models at 1000, 1200 and 1500mm wide by 800mm deep. 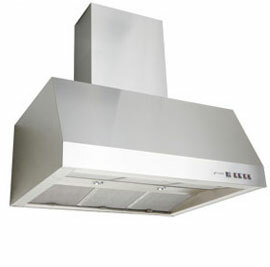 This hood is made to be installed against wall but can be modified for a use in an island situation and the height is variable. 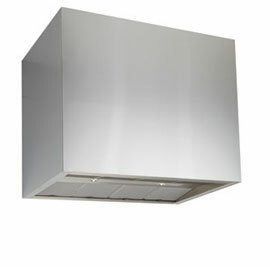 This rangehood comes in three models at 1000, 1200 and 1500mm wide by 800mm deep. This hood is made to be installed against a wall. The hood is normally top ducted and can be back ducted through the flue. 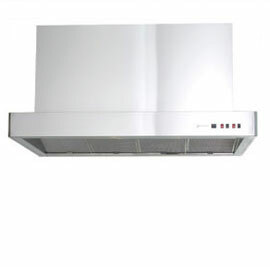 The flue supplied with the hood is either 600, 900 or 1200mm long. 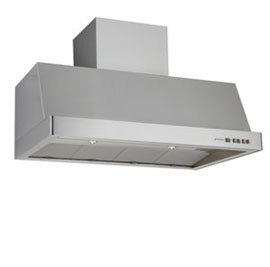 This rangehood comes in two models at 1200 and 1500mm wide. 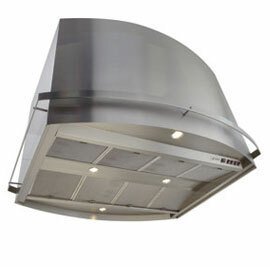 This is an island hood with flat ends and a curved front and back and the height is variable. Representing the pinnacle of the Thermalux range of cookers & boilers. The "Stirling" is available in both the Supreme and Grand Cuisine styles and can be supplied as a dry unit or with a domestic hot water jacket. The "Stirling" is also available as a C.D. (Hydronic Central Heating) model in both the Supreme and Grand Cuisine styles with the same impressive heating output. 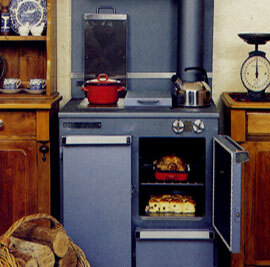 With this stove Thermalux offers a genuine four (4) oven cooking stove with true Grand Cuisine cooking facilities. Oven temperatures are independently adjustable, the fire box is large, huge hotplate,two (2) simmer plates and a drop scone of pancake hotplate which can be easily removed to place a wok directly on the flames. Like all Thermalux the ovens are self cleaning. The Grand Cuisine is the perfect cooker for the serious cook, entertainer or commercial application. The Thermalux Supreme is a high quality, two oven, slow combustion cooking stove with the largest hot plate and oven of any major cooking stove on the market.. Ovens are self cleaning and self venting, and provides even all round oven temperature for perfect baking. The hotplates have space for six or more saucepans. Dual air controls together with flue damper and dilution controls provide swift response to temperature requirements. 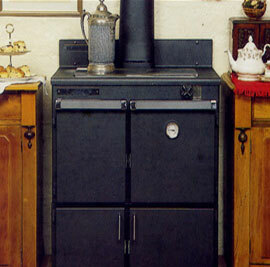 The Supreme also comes as a central heating cooker. The Supreme CD (central heating cooker) has a heat output of 20 kw which gives the CD one of the best heat outputs of central heating cookers. Being a centrally flued single oven cooker, the Clarendon compliments the Thermalux range and is the perfect replacement for the ageing Everhot and XL stoves. The old world charm of a Clarendon Colonial with splash back and Queen Anne style legs is perfect for that country kitchen or restored Victorian or Edwardian cottage. 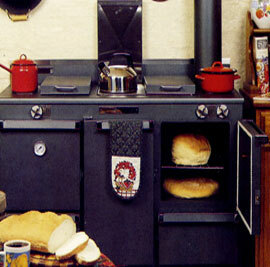 The Clarendon is an extremely fuel efficient small to medium sized cooker. 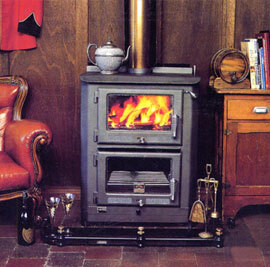 With the option of standard cooker, on base cabinet or the Colonial on legs you choose the stove to suit your lifestyle. All Gourmets are hand built by experienced craftsman to give the quality and individuality not achieved by mass production. The introduction of the versatile Gourmet cooker has given Wise Living Products a market edge. Wise Living Products now has one of the largest range of combustion cooking stoves, hydronic central heating cookers and boilers on the market. The new Gourmet is a combination cooker-heater with a large cook top surface, huge glass front self cleaning oven with thermometer for accurate temperature control and a unique venting system which allows easy control of oven temperatures. The Morsø Grill Forno is made from a solid enamelled cast iron that gives unsurpassed advanta- ges in connection with grilling. A coal insert and a grill grate both made from cast iron come with the Grill Forno, and a stainless steel handle. The special surface of the grill grate has innumerable small pores that absorb the fat and flavourings from the meat. A unique feature which ensures that the meat is grilled in its own juices – unlike stainless steel grates where the meat is NOT gril- led but roasted. 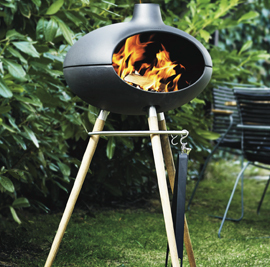 The unique shape is both practical and stylish whether used at ground level creating atmosphere and warmth, or on a bench or table when the use is primarily cooking. 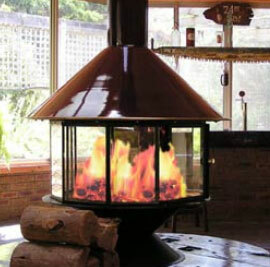 The idea for the design comes from traditional Italian wood fired stoves. The oven has room enough to push the fire to the back or to the sides when cooking, and the low, vaulted ceiling radiates a high amount of heat. Experience the remarkable visual effect offered by this new and exciting Alpine range of carousel heaters. The Carousel features a patented internal design that develops a near complete burn with a minimum of ash pollutions. Not only will you be amazed at the spectacular visual aspect of a natural swirling fire, but you'll also enjoy a rich radiant heat that efficiently warms your family. . 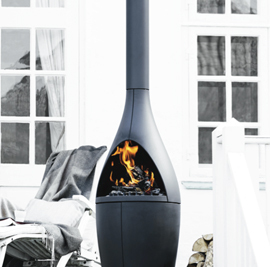 The outdoor fireplace “Morsø Ka- mino” is shaped from cast iron and can – besides decorating and heating all outdoor surroundings – also prolong the outdoor expe- rience – from early spring months, through the chilly summer nights until the beginning of autumn. Morsø Kamino can be turned de- pending on the wind direction.